.:. 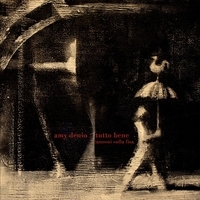 Amy Denio .:. Spoot Music .:. 16 funky and fanciful new songs inspired by current & past events, produced by Seattle's avant-goddess. You'll hear Denio's sensuous voice, the myriad of instruments she loves to play, and the sounds of special guests. 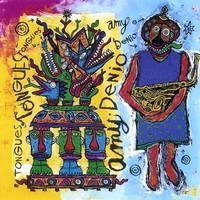 a lively Sardinian/Italian world music sextet based in Rome, Italy. 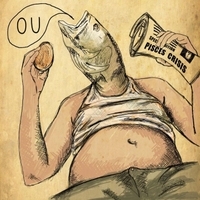 OU means ‘egg’ in Sardinian dialect. This gorgeous collection of music blurs the bOUndaries between deep funk, world music, pop, jazz, ferocity, irony and tenderness. This historic all-women saxophone quartet plays a mix of ska, punk, funk, spoken word, rock mash-ups, anthems, songs of joy, noise bop, jazz and traditional Italian music. Joyful world jazz folk anarchic music for Roman sextet composed with love by Sardinian composer Ersilia Prosperi. Beautiful multi-instrumental solo album featuring Denio's unique folk-infused compositions as well as sound collages, this time created with the participation of 23 friends and one dog. Balkan gypsy metal with a sense of humor, featuring Bosnian singer Gino Jevdjevic. A beautiful and meditative 45 minute soundtrack for a video installation at Seattle Cancer Lifeline. Gongs, whispers, and the sound of cancer survivors writing their names in a bowl of rice. 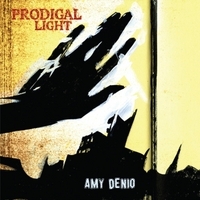 Compilation of Denio's most moving pieces featuring the accordion. 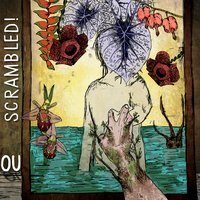 Solo compositions, as well as songs for Die Knödel, Ama Trio, Hell's Bellows!, (ec) Nudes, and FoMoFlo. It's a mixture of charm, versatility, originality, and humor - features that don't go hand in hand too often these days. 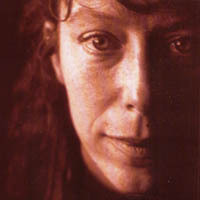 Recorded in Seattle during Hurricane Katrina, with Elizabeth Pupo Walker on percussion; with guest Artis the Spoon Man. When the Shaking Ray Levis were but youngsters in the deepest Tennessee, they were allowed to watch Saturday morning TV only if they saw a particular religious program with music, hosted by a fabulous Chattanoogan preacher, his radical bouffant-hairstyled wife beaming at his side. 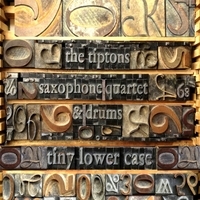 The program featured the Stamps, the quartet famous for backing Elvis. Years later, the Levis found a copy of the hymnal with all those fire-and-brimstone Old Testament-y festaments, and asked Denio to sing 'em. Derek Bailey added his guitar genius, and Dennis Palmer wove everything together with his finest finesse. One of the stranger things you might ever hear. Dynamic and diverse, this all-women sax quartet with drums & electronics plays original, jazz, world and cartoon music. Soundtrack for Pat Graney Dance Company, deep dark and luscious. Commissioned by David Dorfman Dance, and performed at Brooklyn Academy of Music, for Next Wave 2000 series. Denio joined forces with Gabi Kenderesi (violin & voice) & Csaba Hajnoczy (guitar) of Kampec Dolores fame, and Czech drummer Pavel Fajt for this one. Lovely and noisy. Yugoslavian composer Stevan Tickmayer: piano, keyboards, zither, violin, guitar, samples - set text by Chris Cutler (drums & electronics), with the help of Fred Frith (guitar), Bob Drake (bass and vocals), Claudio Puntin (clarinet, b. cl. ), and Amy sang. Very very dense stuff! 19 luscious songs in collaboration with bands all over the world. 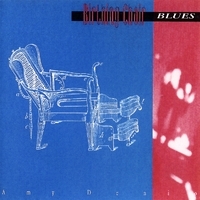 A true international collaboration between Hoppy Kamiyama (keyboards, noise violin, voice), Denio (bass, alto sax, voice), and Mighty John Henry: Dennis Gunn (guitar, voice), Tada Makio (drums), and Honda Tatsuya(bass). Improvisers Chris Cutler (drums, electronics, text), Wadi Gysi (guitars) and Denio (accordion, bass, sax, voice) came together to form a song band. Recorded in France & Ticino, mixed by the genius engineer Bob Drake. This diverse recording reflects the beginning of Denio's fascination with foreign languages. Produced on her TASCAM 644 midi-cassette recorder. Tons of instruments. Denio's first vocal adventures with Curlew, featuring words written by poet Paul Haines. They premiered this body of work at New Music America 1990, and toured it on both US coasts. Tom Cora (cello), George Cartwright (sax), Davey Williams (el. guitar), Ann Rupel (bass), and Pippin Barnett (drums). May Paul and Tom rest in peace! Fred Chalenor had free recording studio time & invited me down to Newburg OR. We had fun preparing, and it was heaven in the studio. The Grammy Office left me a message asking for a copy (distribution was never that good), because ALD had been nominated as best new recording. I thought it was a joke phone message. Recorded under the magic hands of engineer Drew Canulette, with Matt Cameron, Fred Frith, Hans Reichel, Courtney von Drehle, and Bob Bain. Also available in LP & cassette format. 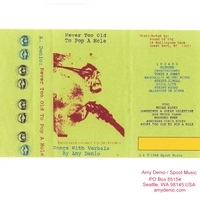 Denio's first official CD, originally released on Knitting Factory. Produced on her TASCAM 644 midi-cassette recorder. Tons of instruments. Listen to Denio's wizardry on a TASCAM 244 4-track cassette recorder! A classic! Denio's first cassette release, with guests Craig Flory and Kate Johnston. In Spring, 2009 I returned to the band. Since then we've been touring steadily in Europe and Eastern Europe, the US Northwest, Chicago and New York City steadily ~ and we have released Integration, Ministry of Kultur, and Tales of Granpa Guru, Volume 1. We are currently working on our ninth recording, entitled 'IX'. Here are a couple of Kultur Shock video links: The Rose (produced by our friend Krk Nordenstrom. I played clarinet, 12-string guitar & sang, and moved one of the shadow puppets, great fun!, and Balcchanalia: Kultur Shock Balkan Tour Summer 2009, I played sax on the song, and shot & edited this film while on tour in the Balkan countries in July, 2009. With Lesli Dalaba, Ikue Mori, Zeena Parkins, Carla Kihlstedt, and Amy Denio. A gorgeous and evocative sonic journey.